We welcomed Sammy Woodhouse who spoke of her extraordinary battle as a Child Sexual Exploitation (CSE) survivor. 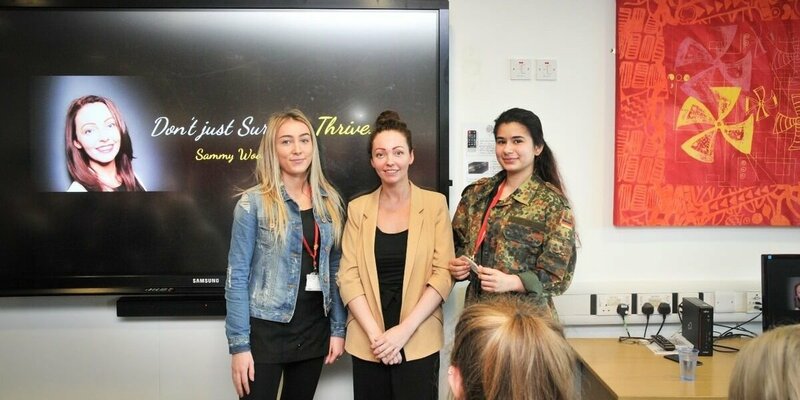 The Rotherham-based campaigner, took time out of her busy schedule to inspire students and to raise awareness and tackle the issues of CSE. She wanted to raise awareness of the improvements needed around counselling services, better national funding, mandatory education and licensing policies. Students did not only feel inspired, but left the talk questioning their views on CSE and in turn feeling more confident in realising that their voice counts too.